Top 10 Garden Pests | EA Formby (NW) Ltd Blog! 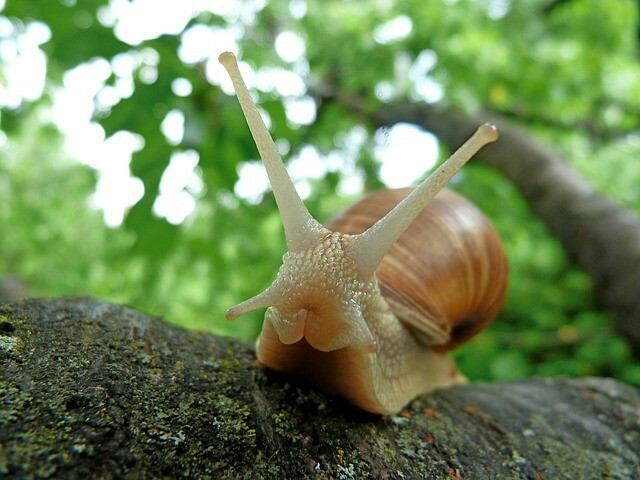 Slugs and snails: this year’s chart toppers, as the most bothersome pests, as they have done for 8 out of the last 10 years. This is no doubt down to their ubiquitous nature and can occur at any time of the year, affecting anything from seedlings, to plants and vegetables. Vine weevil: these inflict damage to a wide variety of both indoor and outdoor plants, but seem to favour those in pots, planters and containers. The adults feed on leaves during the spring and summer months, leaving their grubs to feed off the plant roots during the autumn and winter months, which leads to wilting and ultimately the plants’ demise. Cushion scale: this is a small insect that lay white, oblong-shaped, eggs on generally on the underside of the leaves of evergreen trees and shrubs, such as holly and rhododendron, leaving a black fungus, known as sooty mould, on the front of the leaves. Lily beetle: despite their bright red colour, Lily beetles are notoriously difficult to spot and unfortunately, the first signs you have them, it’s often too late, as your lilies and fritillaries are stripped of their foliage. They leave clusters of orange-red eggs on the underside of leaves that develop into reddish-brown grubs, with black heads. Rosemary beetle: these attack many herbs, such as rosemary, sage and thyme and aromatic plants such as lavender, feeding on their foliage. Despite the fact they only seemed to be found around the London area in the 1990’s, they can now be found, in growing numbers, across many parts of England, Wales and Scotland. Aphids: these sap-suckers, more widely known as greenfly or blackfly, generally feed around the new shoots of plants such as tomatoes, sweet peas, beans and roses, amongst others. They secrete a liquid known as honeydew, which leads to the growth of sooty mould. Allium leaf miner: this is a relatively new pest too and it’s the first time it’s made the RHS chart. It was first encountered in England in 2002 around the West Midlands, but have since spread to other areas across the country. They are the maggot of a fly, which causes serious damage to plants in the onion family such as shallots, leeks, garlic and of course onions, by boring into the leaves, then turning into a brown pupae that grow in the plants’ stems, making them inedible. Tortix moth: unfortunately making a comeback having not been in the RHS top 10 for over ten years, the caterpillar of this moth feeds on both indoor and outdoor fruit and flowering plants, causing them to dry out and turn brown. Mice and voles: can cause widespread damage to not only plants, shrubs, fruit and vegetables, but also property, storage areas, sheds and greenhouses. Ants: there is only one saving grace for this pest, it eats the honeydew of aphids, preventing it from turning into black soot; however, that’s where it ends, as they protect the aphids from ladybirds, to protect their food source. They also make nests in a variety of places around the home and garden and once they established, can be very difficult to remove.